Built in Lancashire, England in the late 15th century; came to Richmond in 1926. Welcome to the historical Agecroft Hall! Agecroft Hall a former Tudor estate that was previously located in England. This historical place is currently located in the heart of Virginia’s capital, Richmond. However before you can completely understand the significance of Agecroft Hall, you must understand the history behind it. In order to comprehend any thing or anyone, it is always beneficial to research the history. By understanding the Tudor history and rulers, it will allow you to visualize the state that England was in starting in the 1480s. Throughout the beginning years pertaining to Agecroft Hall, Henry VII (also called Henry Tudor) was ruling England. He ruled from 1485 to 1509. During this time England was in a state of change and reinventing itself. “Henry VII's first task was to secure his position. 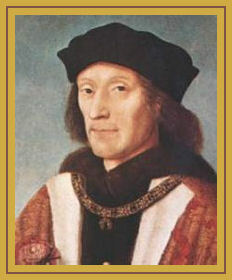 In 1486 he married Elizabeth of York, eldest daughter of Edward IV, thus uniting the Houses of York and Lancaster.” (The British Monarchy 1) Henry VII wanted to bring the York and Lancaster families together in order to bring unity and also to avoid any battles that could occur between them. This may be looked at as a smart war tactic on Henry VII’s behalf. After Henry VII died in 1509, his son Henry VIII took over the throne of England. Henry VIII ruled from the years of 1509 to 1547. He is considered to be a different kind of ruler than his father was. 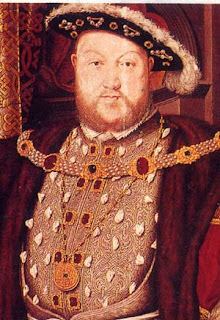 One of Henry VIII’s main focuses while he was ruling was England’s foreign policy agreements with the surrounding countries. He wanted to create stable and beneficial foreign policy relations with these countries to secure the safety of England. 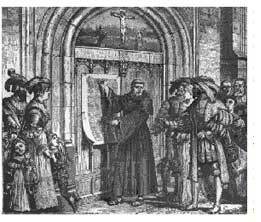 In relation to Henry VIII, the Reformation was the time period that most associate with him wanting to get a divorce. During this time Henry VIII was married to Katherine of Aragon. He was so determined to make this happen that he would stop at nothing to get what he wanted. Henry VIII was turned down by the Pope several times, but that did not deter him from what he wanted; a divorce. Most people would wonder why Henry VIII wanted a divorce so badly from Katherine of Aragon. It would appear that she was a horrid wife because of Henry VIII’s persistence to be free of her. The actual reason why Henry VIII wanted the Pope to grant him a divorce from Katherine of Aragon is because he desperately wanted a male heir to the throne. He wanted his own child to be the one to take over after his death. Katherine of Aragon tried to give him a son, but the few times she was pregnant it with a boy, they soon passed away. Katherine of Aragon was only able to give Henry VIII a baby girl, Mary, who was born in 1516. She would later on be known as Mary Tudor and sometimes even called Bloody Mary. Now that the historical, political and social background of England during the 15th and 16th century is clear, it will be much easier to understand the importance of great Agecroft Hall estate. This historical estate directly ties in to the history of England. As stated earlier, Agecroft Hall is a historical Tudor estate. It was originally built in 1485, which is in the late 15th century. “The original name of the house was Edgecroft, as the house sat on the edge of a field, or croft.” (Waddelove 1) The name was soon after changed to Agecroft Hall. Being that Williams lived in Virginia, it was only natural that he would have wanted to have his newly purchased property in Virginia with him. However due to the fact that this was a large property, most would have thought that this was not at all possible. The businessman in Williams led him to ultimately do the unthinkable. “Morse arranged for Agecroft Hall to be carefully dismantled, crated, and shipped across the Atlantic to Norfolk, Virginia. From there the crates traveled by train to Richmond where Morse hired contractors to put the pieces back together. The recreated Agecroft Hall now stands in a setting similar to its original one on the banks of the Irwell River in Lancashire.” (Decoteau 1). “He had no intention of replicating Agecroft Hall as it had stood in Lancashire. Instead, Williams salvaged sixteenth-century materials--timbers, window casements, paneling, leaded glass, door frames, the stone roof and the courtyard gates--and combined them with twentieth-century conveniences.” (Elvgren 1) It has been reported and researched that Williams spend about $250,000 to reconstruct this historical estate. Sadly, Thomas C. Williams Jr. passed away not too long after Agecroft Hall was brought to Richmond in 1929. He was about to live in Agecroft Hall for about a year after its 2-2 ½ year reconstruction period was over. Marion Elizabeth Booker, Williams’ wife, continued to live at the estate for years to come. She remarried years later to a man named David Morton and continued to live in Agecroft hall until 1969. It has been said that in Williams’ will, he said that he wanted Agecroft to turned into a museum after his wife either died or moved out of the estate. In 1969, that is exactly what happened. Years after his wife remarried, their former home was turned into a museum for all to visit. Once you step inside of the reconstructed Agecroft Hall turned museum, you will instantly feel like you are back in the Tudor years in England. The museum does a fantastic job of keeping the estate looking as the Langley and Dauntesey would have lived. One of the most remarkable rooms in Agecroft Hall is the Great Hall. This room was primarily used for gatherings, business, entertaining guests, meals and for other various activities. Being the Great Hall is the room that most guests of the residents’ would enter through first, there are several lavish items in this room. One entire wall in the Great Hall is made of glass that serves as a window into the front of the house. This glass window is one of the first extravagant items that guests would see. Another great feature of Agecroft Hall are the magnificent gardens. Agecroft Hall sits on about plenty of acres, thus the space to create several beautiful gardens. The Williams’ hired a talented landscaper by the name of Charles Gillette to construct the stunning gardens at Agecroft Hall and that is exactly what he did. The gardens are filled with a variety of flowers, herbs and plants that all help in creating a warm and romantic feeling. There are several different sections of the gardens that all join together to create one spectacular garden. It is interesting to realize that Agecroft Hall was once standing on the Irwell River in Lancashire and now is standing on the James River of Richmond. The view of the James River from the estate’s gardens and from some rooms is truly beautiful. That is just one example of how magical Agecroft Hall really is. Several of the bedrooms in Agecroft Hall still have original 15th and 16th century furniture in them. For example, one of the bedrooms in the estate have an original 16th century complete bed frame set that still has its original paint covering it. This bed was painted in bright colors that were very unusual during this time, making it a priceless item the estate holds on to. This rare bed frame set also tells a story within the carvings. The carvings and decorations are meant to improve the chances of creating a child. This was a common task for the English because the family name was always wanted to carry on. By having children, families would insure that their legacy would not end. Agecroft Hall also has a number of other original items such as large tapestries, original swords and armor, furniture, books and much more. This museum has kept and provided items to show that have been around for centuries. The only room in Agecroft Hall that was not redecorated to resemble the Tudor period in England is the estate’s library. The library was never changed from the time with the Williams lived there. This room still has all of the Williams’ books, magazines and original furniture. The library is one of the largest rooms in Agecroft; it takes up one entire wing, and one of the most used rooms. By leaving this room untouched while the rest of the house was being transformed into the Tudor era, a piece of the Williams family will always be a part of Agecroft Hall. Agecroft Hall is open all year round to entertain visitors that wish to learn more about the Tudor period of England. (Tuesday-Saturday 10am-4pm and Sundays 12:30pm-5pm). While visiting Agecroft Hall, not only will visitors be given a guided tour of the estate and gardens, but they will also be shown an informative video. This video explains the background history of Agecroft Hall and its significance to history today. A small fee will be charged per visitor, however it is a small price to pay to be exposed to all of the history of this estate and of the Tudor period. This historic estate is located at 4305 Sulgrave Road Richmond, VA 23221. Please visit http://www.agecrofthall.com/information.html to learn more information about this historical Tudor estate and how to plan your visit! Or call 804-353-4241. Elvgren, Jennifer. "To be in England." Historic Traveler 4, no. 1 (November 1997): 58. Academic Search Complete, EBSCOhost (accessed November 26, 2011). "Agecroft Hall." Accessed November 26, 2011. www.agecrofthall.com. Virginia Tourism, "Agecroft Hall-Richmond, Virginia." Last modified 2001. Accessed November 26, 2011. http://www.virginiabeautiful.com/v4/agecroft-hall-richmond-virginia.html. Museum USA, "Agecroft Hall." Last modified 2011. Accessed November 26, 2011. http://www.museumsusa.org/museums/info/10511. Waddelove, Anna. Richmond.com, "A Piece of england, on the James." Last modified October 12, 2011. Accessed November 26, 2011. http://www2.richmond.com/lifestyles/discover-richmond/2011/oct/12/piece-england-james-ar-1338481/. Hanson, Marilee. Englishhistory.net, "Tudor England FAQ." Last modified 2004. Accessed November 26, 2011. http://englishhistory.net/tudor/faq.html. The British Monarchy, "History of the Monarchy." Last modified 2011. Accessed November 26, 2011. http://www.royal.gov.uk/HistoryoftheMonarchy/KingsandQueensofEngland/TheTudors/HenryVII.aspx. "The Protestant Reformation." Accessed November 26, 2011. http://www.u-s-history.com/pages/h1136.html. New England Antiques Journal, "Agecroft Hall & Gardens: Richmond's Remarkable Tudor Estate." Accessed November 26, 2011. http://www.antiquesjournal.com/pages04/Monthly_pages/dec06/agecroft.html . Info Barrel, "Visit Agecroft Hall: Richmond, Virginia." Last modified 2011. Accessed November 26, 2011. http://www.infobarrel.com/Visit_Agecroft_Hall__Richmond_Virginia. "The Agecroft Collection F.3.11-11." Accessed November 26, 2011. www.chethams.org.uk/chethams_library_agecroft_collection.pdf.